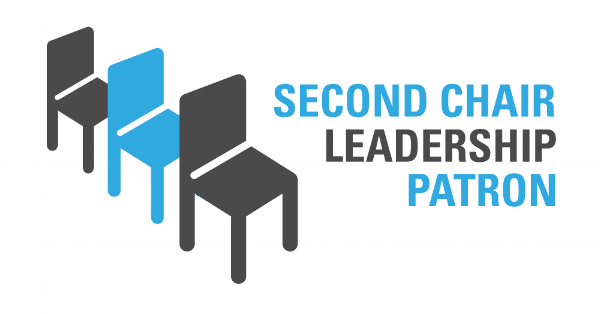 The Second Chair Leadership Podcast is all about shining a bright spotlight on second chair leaders who are leading creatively and courageously right where they are! About a year ago, The Second Chair Leadership Podcast launched. Since then, hundreds of leaders are finding encouragement and are expressing their creativity to lead right where they are! We’re only 20-some episodes in and we have over 3,000 downloads. The podcast is having a positive impact on second chair leaders. This show was created for people like you and supported by you! Your likes, shares, comments, emails, reviews, and encouragement are greatly appreciated - more than you will ever know! In the days past, creative people were supported by Patrons - generous donors - who funded artistic projects. Nowadays, we can support creatives by doing things we believe in easily and with small amounts of money. For listeners who would like to support this podcast financially, a simple Paypal system has been set up to start receiving your donations. The goal for 2019 is to raise $225 to cover the costs of hosting and maintaining the show. For as little as $1 a month you can help turn this podcast into a genuinely listener supported show! Thanks for listening and thank you so much for becoming a patron supporter. One-time social media shout out for being an awesome patron on IG and Facebook! One-time social media shout out (same as above) PLUS name/brand recognition on the podcast patron webpage!